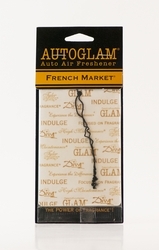 Created to fragrance Limousines, Convertibles, and yes, even Sport Utility Vehicles! 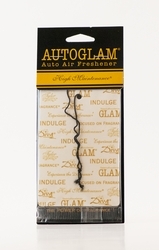 Quickly transform your vehicle into a rich and luxurious aroma experience! 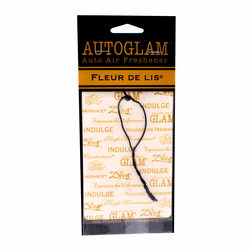 A warm and complex fragrance overflowing with delicious fruits and rich florals. Rich aromatic chocolate and amber complete this luscious blen! It's her world�we just live in it. Where sensuality and femininity live side-by-side. Plunge straight into the heart of deep floral accords. Full-bodied tea and bergamot begin the temptation. Sabac, jasmine, orchid, freesia and patchouli come together to create the power to make everything more positive! Tyler's #1 fragrance! Floral, woody blend combined with patchouli and vanilla with a heavy musk undertone. Very sophisticated and truly addictive! An invigorating, fresh fragrance as legendary as the leading man who wears it! Spicy, sporty, original and truly unforgettable! Notes of sandalwood blend with ambergris, violet leaves, French verbena, and Florentine iris to create the ultimate aromasensory experience!